Friday February 27th 2015 will be the day that Cultural Icon Leonard Nimoy, the famous actor from the original Star Trek TV (Television) series passed away. His wife, Susan Bay Nimoy said that Leonard’s cause of death was end-stage chronic obstructive pulmonary disease. Leonard Nimoy play the famous “Mr. 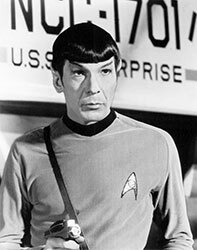 Spock” on the iconic original Star Trek TV series from the 1960’s as well as in several Star Trek movies and voice appearances in a few video games as well. Leonard Nimoy was 83 years old and he will be missed by many, many people, including his fans from around the world. One key and very notable person who will miss him is his close friend William Shatner, the famous actor who played Captain James T. Kirk in the original Star Trek series with Nimoy. In my mind and the mind of countless people around the world, Leonard Nimoy played the role of Mr. Spock in his Star Trek roles better than anyone else could have. His way of digging deep down and portraying Mr. Spock as a very cold, emotionless and logically thinking character was just perfect. 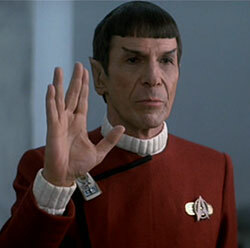 However in real life Leonard Nimoy was not like that at all as many close to him have said. Leonard Nimoy was known by his family and friends as a very caring man with plenty of emotions and was always a good hearted man. Many say that to know Leonard Nimoy is to love Leonard Nimoy. I myself, growing up in the 1970’s and 1980’s am very, very familiar with the original Star Trek series and I used to watch the reruns all the time. I grew up next door to my uncle (my mother’s brother) and his family. My cousin and I used to play Star Trek roles all the time. So growing up in my childhood era pretty much everyone knew all the main Star Trek characters, especially Mr. Spock who was played by Leonard Nimoy. To people of my generation, this will be a notable loss that pretty much nobody can say that they did know who Leonard Nimoy was. Leonard Nimoy will be missed and we will never see anyone like him. He was an original and iconic man who will be remembered by so many. One of his famous lines from the original Star Trek television series that Leonard Nimoy was known for was the line, ‘Live long and prosper’. Leonard Nimoy has done both of those, myself and many, many more only wish that he could have lived longer and blessed this world with his personality and character. Next Post: Google Penalty Lifted!